The Prospero’s officially entered into their marriage yesterday and celebrated vigorously when they got home after the ceremony. Is Rosabelle pregnant from them trying for a baby last night? Pawel wakes up early for work this morning. Today is Rosabelle’s day off and they had a late nigh so he tries not to wake her up. 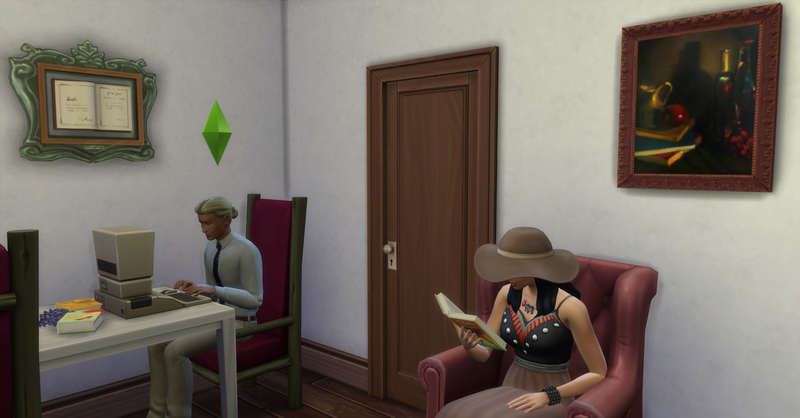 While he showers, Rosabelle wakes up and takes a pregnancy test, it is positive! She shares the good new, not like he could have missed it while he was showering. Pawel isn’t as excited as she is, he knows that this means he will have to work harder. 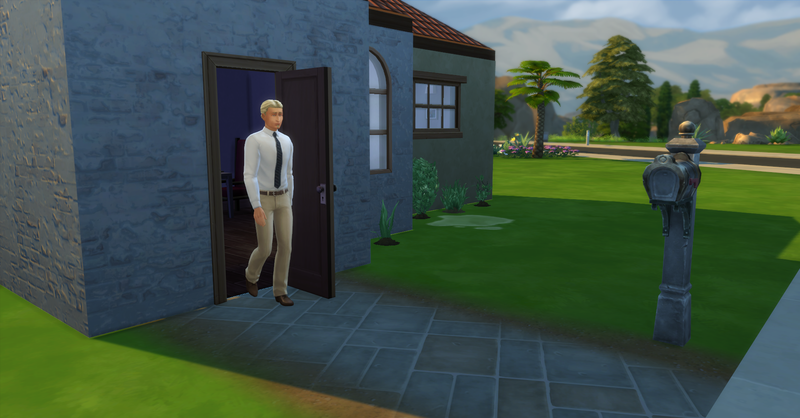 Afterwards Pawel cooks a family serving of scrambled eggs (§8) for them for breakfast, their funds are now §18,927 simoleons. After breakfast, Pawel leaves for work. Rosabelle throws up all her breakfast because she is suffering from morning sickness. Afterwards the toilet is all nasty. She showers off because she is feeling dirty from throwing up. She then cleans the toilet. 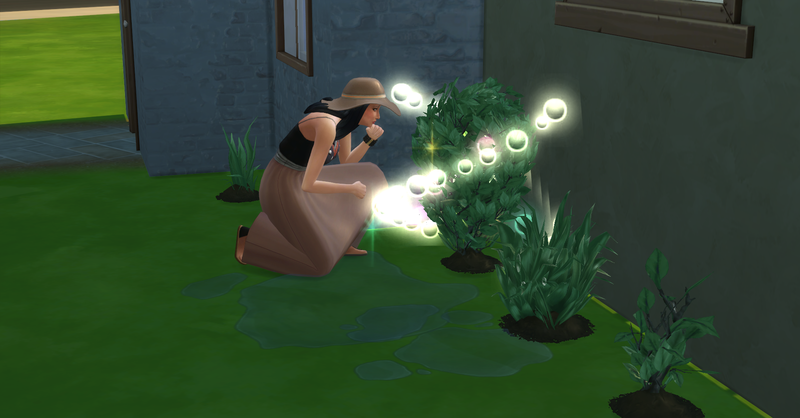 Rosabelle then tends the garden and evolves the oldest blackberry bush to nice quality. After she finishes gardening, Rosabelle goes collecting around Skyward Palms. The outdoor air is definitely helping her nausea from the pregnancy, but she isn’t really showing at all yet. When Rosabelle finishes collecting and harvesting she returns home. 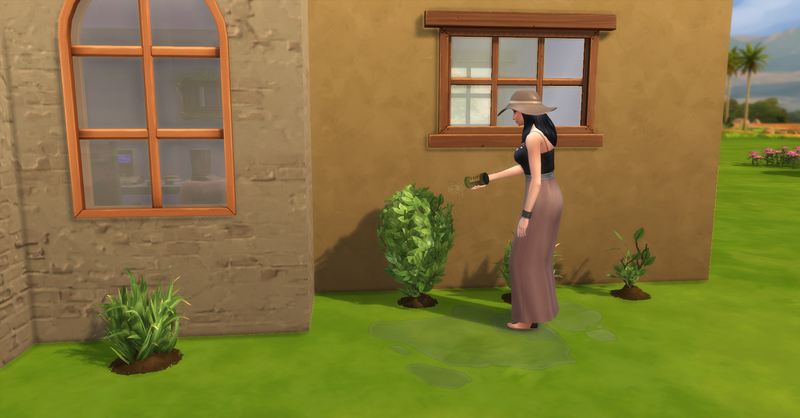 She works in the garden some more when she gets home fertilizing the plants with some of the harvestables she has collected. Then she eats some leftover eggs, she is eating for two after all! Pawel returns home from work with a promotion to Advice Columnist. 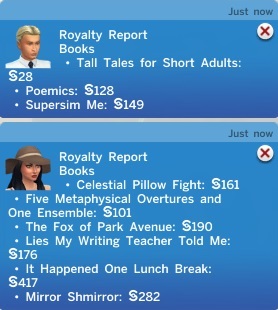 He earned §304 simoleons in regular pay and a bonus of §611 simoleons. He also received The Thinker chair, so now they have two chairs! When he gets home he reads for fun for a while and Rosabelle checks out their new chair! She is feeling ill from the pregnancy again. Once Pawel has read for a while, he starts a new non-fiction book called Freakonomics. Rosabelle reads for fun since they only have one working computer still. He finishes writing his book and sends it to the publisher immediately. They are now starting to get hungry and the baby makes Rosabelle hungry all the time, Pawel makes more scrambled eggs (§8, funds are now §22,796) and gains another cooking skill. 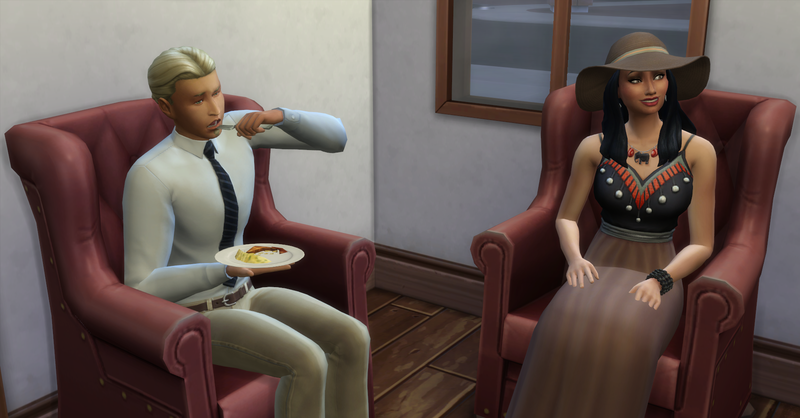 Rosabelle and Pawel chat and eat in together now that they have two chairs. She is starting to feel nauseous again. Rosabelle decides to head to bed early tonight. She is just starting to show, she is 9 hours away from the 2nd trimester. Today has been a very good begining to week 4 of the Challenge.